Welcome to the Cathedral! This is a place unlike any other, and you are welcome here. Each week, we provide solace and strength to a wide array of people, and we find the face of Christ in each one. We are a house of prayer for all people, seeking to amplify the mission of the Diocese of Massachusetts. Sometimes this is expressed when we host large ceremonies where people take up their responsibilities and roles in Christian community, like ordinations and confirmation services. Sometimes it is expressed in our partnerships with Episcopal City Mission and other organizations working for a more just and beautiful future. Sometimes it is expressed when we march up Beacon Hill to the State House to witness for public policies that recognize the dignity of all persons. 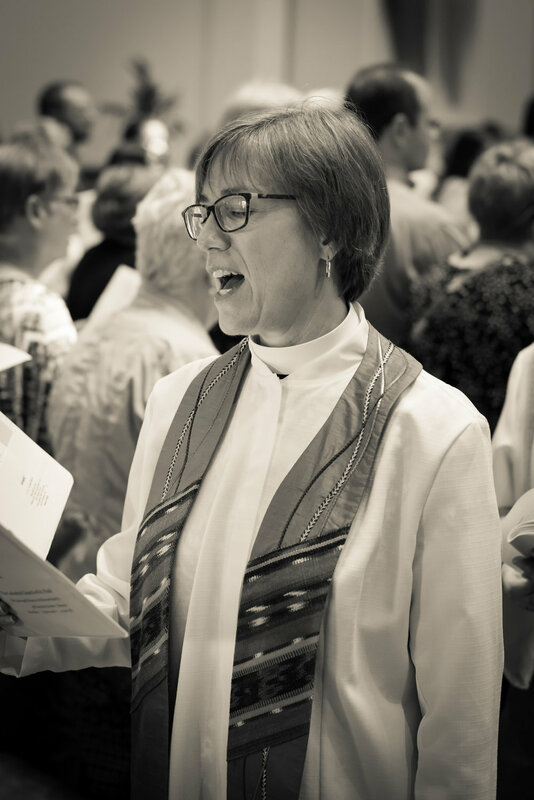 Are you seeking a community where people from the widest array of backgrounds, economic circumstances, and pieties sing, pray, and learn from one another, using the rich resources of the Episcopal tradition? Join us on Sunday mornings at 10 am for Holy Eucharist. Are you seeking a fresh expression of ancient rites, with space to respond to scripture in art, movement, or conversation? Join us for The Crossing on Thursdays at 7 pm. Are you committed to solidarity with those who are without housing and curious about how to discover and lift up the voices of those on the margins? Get involved with the MANNA ministries here. Are you in recovery and yearning for spiritual companionship as you explore the 11th step? Conscious Contact, which gathers on Wednesdays at 6 pm, may be a great gift in your life. Do you work downtown or are you visiting Boston? Stop in for a midweek Eucharist or Morning Prayer. I look forward to meeting you soon and sharing in the ministry of Christ with you.